Today, I am going to tell you a Disney fairytale; from a book less well known. Bear with me, until I finish. Bear with me, until I finish. Long, long back in a land far, far away, there was a shipping dock. A ship was leaving the dock early that morning. The ship would sail from England. 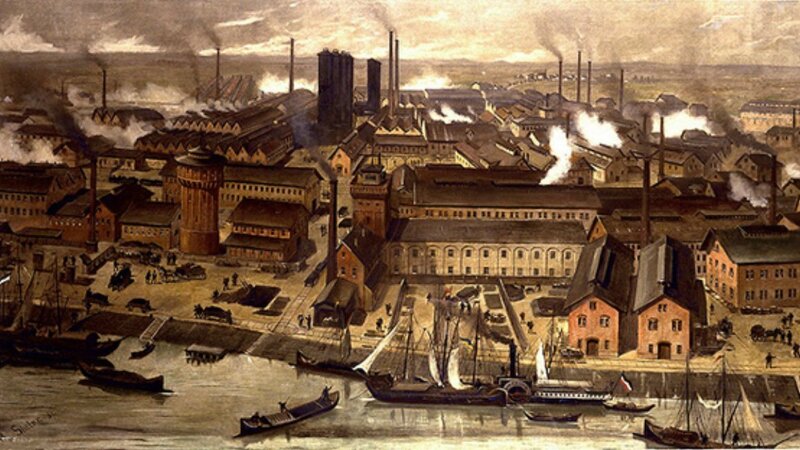 England in those days was the land of booming industries and manufacturing factories. It had long roads and tall buildings. It had motor cars on the road, and it had traders who ran businesses for profits. One such trader was Governor Ratcliffe. That day, he was there on the ship. They were going to find a new land to capture, a new land with a green and clean environment. Once they find a land, they would dig for gold. They would also cut the trees and drill the grounds, and make houses and factories. They would establish towns and they would begin trades. They wanted a green and clean environment, which they would inhabit and convert into, well – not so green and clean environment. Another member in the crew was a young man called John Smith. Contrary to Captain, his motive of travel was quite different. He loved adventures. He wanted to explore and experience the new land, and he wanted to see the world. And so, off they went. After many days and many nights of long sailing from beneath raging sunshine and under the dark blue night sky, they finally saw land. There! – John Smith shouted. He was so excited that he could not hold himself back. He and his three other friends set sail in a boat and rode to the shore. Now, the fun began. So, there was this young girl who had first seen them come. She was called Pocahontas. She had two best friends, Meeko, who was a racoon and Flit, who was a hummingbird. So, boy meets girl and just as it always happens, particularly in fairytales… they fall in love. Well, my story could have ended right here and they could have lived happily ever after thereafter. But no, that will not happen! And, this is exactly where the catch is. Soon, the ship reaches the land too. It is a beautiful land, inhabited by the tribes of Powhatan. It was indeed a land of green and clean environment. Pocahontas, as it turns out, was the princess of the Powhatan. John Smith tells Pocahontas that they were going to establish a town in their land. He thinks that will make the girl very happy. But Pocahontas is angry to hear that. “The earth is not for you to dig up. It belongs to Nature. We are all a part of Nature,” she says. Alas, traders are traders. Soon, Governor Ratcliffe gets his men to start on their task. They begin to cut down the trees and drill up the grounds. On the other hand, the tribes of the lands, the Powhatan army, are soon alerted by such trespassing. They get together and declare war against the invaders. In the process of the war, Smith is held for ransom. As soon as King Powhatan raises his club to execute him, Pocahontas throws herself between the father and the lover. “If you kill him, I will give my life,” she says. She further points out how a war can never be an answer to the problem. She, with help of Smith, initiates a dialogue between the two chiefs, and finally peace is declared. The Englishmen gets back to their ship and go back to England. 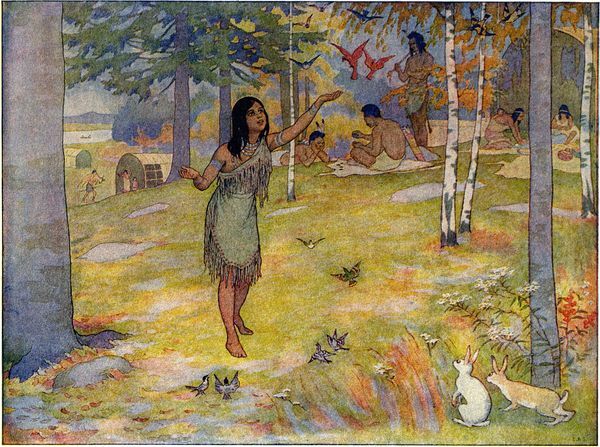 “Come with me,” Smith asks Pocahontas. Pocahontas loves Nature, you see! And so, Pocahontas does not leave her native state for anything- not for love or riches. Instead, she stays back with her tribe. Sadly, this is not a so-called fairytale happy ending. However, here is what is far more interesting than that! This story, really, is based on real incidents. 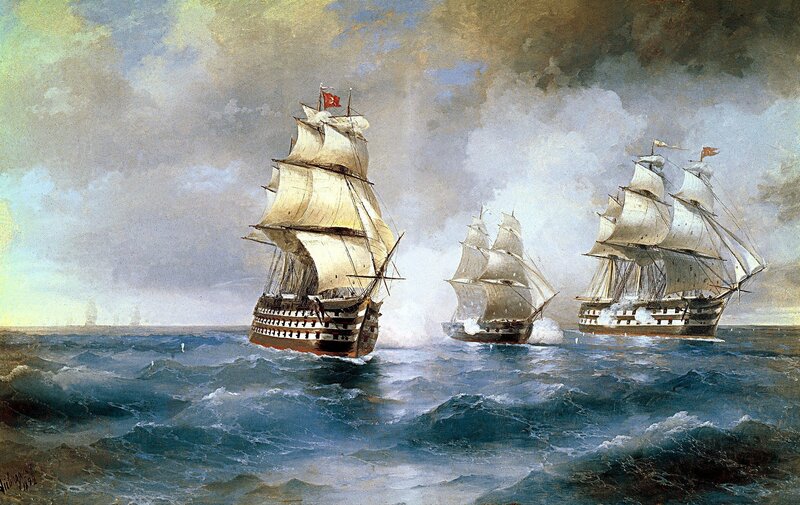 The events date back to early 17th century. The war had happened in the year 1605. 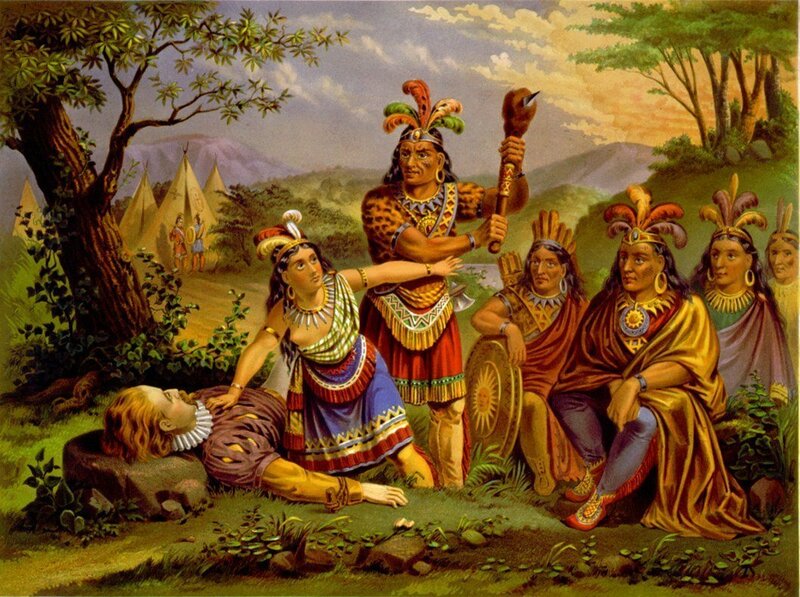 Pocahontas was really called Matoaka, but then she was nicknamed Pocahontas which meant “the naughty child”! They say Mataoke aka Pocahontas, born in 1596, was just a ten year old girl when it happened. Till this day, Pocahontas stands as a sign of peace and courage. Till this day, Pocahontas stands as an example of a girl who did not need to be saved or protected. She stands as one of the very few examples, especially among Disney princesses, who instead had saved a nation. She stood up for a cause. She did not give away her life to fairytale happy ends. She stands as one braveheart who did not need to be saved. She stands as one hero, in the world of damsels. One who stands up, when others fall. However, the story is not complete until I tell you the name of the native land to which Pocahontas had belonged. Today, we know the country by the name of the United States of America.